All Vinyl at £11.99 plus £1.50 postage. 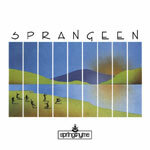 A Springthyme selection of Scottish Dance Band and Ceildh Dance music on vinyl LP. The first album from this famous band from Arbroath - the making of any festival or ceilidh - including the great song 'Auchmithie' sung by Jim Reid. Great music from one of Scotland's finest traditional dance bands. 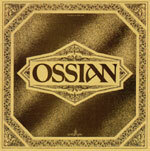 The debut album of ceilidh dance music from a band that won success at many a festival. The second album from this popular and informal band of musicians - festival guests from Keith to Sligo and Kerry to Tønder. 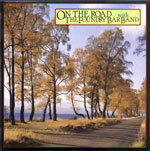 Vinyl LP selection from some of Scotland's finest exponents of Scots Song, Bothy Ballad and Traditional Music. 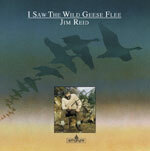 A superb album of original and traditional songs that established Jim Reid, founder of the Foundry Bar Band as one of Scotland's finest singers. SOLD OUT - await new Book and CD due 2014. An insight into an old traditional fiddle style - traditional folk music at its best. Booklet with the LP includes photos and full music transcriptions. Local tunes and local versions of tunes from the Scottish borders. The history, culture and traditions of a city seen through the songs and music of its people. Live from the Elgin Bothy Ballad Championships. Folk songs and bothy ballads from the Scottish North East. A return in song and music to the days of the farm bothy. Recorded live at the Elgin Championships. A historic album of songs and music recorded at the 1973 Kinross Festival including Tom Anderson, Aly Bain and the Shetland Fiddlers. 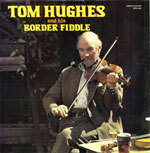 Another selection of jigs and reels, strathspeys and hornpipes, folk songs and bothy ballads. Recorded live at the Kinross Festival in 1974 & 75. Strathspeys, jigs, marches and hornpipes - tunes old and new from the well known Border fiddlers. NOW FOR THE VINYL REVIVAL! Magnificent unplayed vinyl - nearly always pressed from virgin vinyl. A selection of vinyl LPs from Scottish Folk Bands and Folk Artistes. The classic first album from this world famous multi-instrumental folk band who later set up their own Iona label and went on to make numerous albums. A superb album of innovative harp music both traditional and contemporary with four tracks featuring Aly Bain on fiddle. Songs and music from this Scottish/Danish product of the Celtic music revival. Songs and music from one of Scotland's early traditional folk groups. Songs from Margie sinclair include 'Glenlogie' and 'Cairn-o-Mount'.